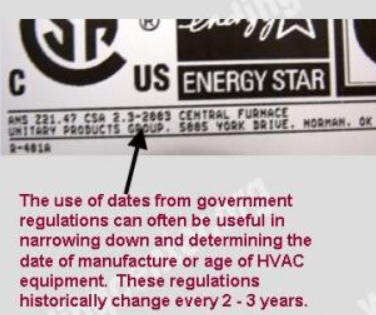 Obsolete Brand of Boyertown Furnace Co.
How to determine the date of production/manufacture or age of Savio® HVAC Systems. The date of production/manufacture or age of Savio® HVAC equipment can be determined from the serial number located on the data plate. Description: This five (5) character serial number was transcribed from a Hallmark® brand boiler (a sister brand of Savio) manufactured by Boyertown Furnace Co. Boyertown assigns consecutive numbers to their brands. To determine the date of manufacture it is necessary to call Boyertown at (610) 369-1450 for assistance.